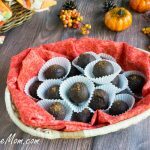 These Sugar-Free Mint Chocolate Truffles are an easy, no bake recipe that is low carb, grain free and gluten free! Just something about chocolate around Valentine’s Day that gets everyone excited. 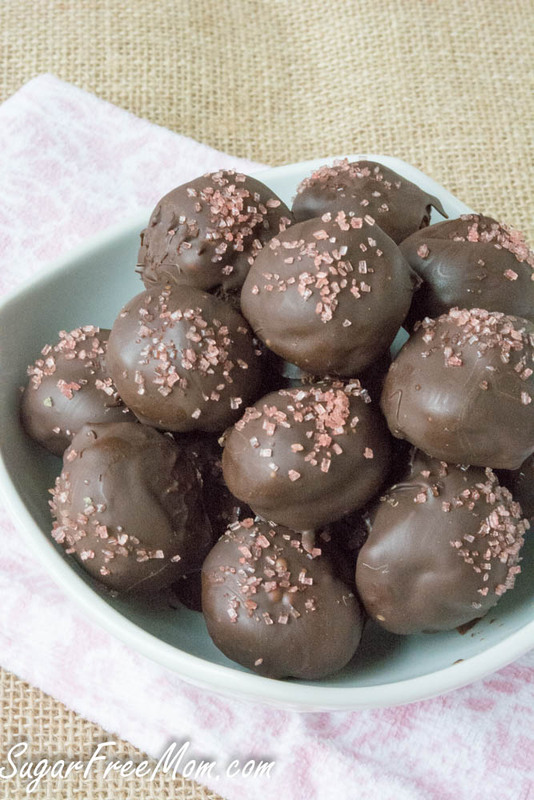 Although it doesn’t have to be Valentine’s day to enjoy these little chocolatey truffles. 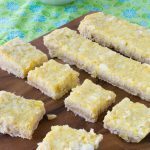 There an are an easy crowd pleaser and family favorite! 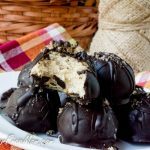 If you’re not a fan of mint you can certainly leave it out and these will just be chocolate truffles, but adding a little peppermint extract and my favorite liquid stevia from Sweetleaf jazzes up the typical truffles from ordinary to extraordinary! 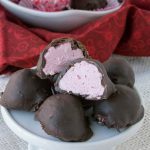 Whether you enjoy a Valentine’s date night out with your significant other or you are staying home as a family, these truffles make the best after dinner treat. 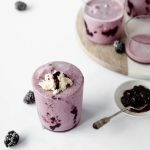 All made without sugar, low in carbs, grain and gluten free! 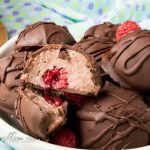 You’ll find these Sugar-Free Mint Chocolate Truffles over on the Sweetleaf Website where I am a monthly contributor! This post has been sponsored by Sweetleaf but all opinions are 100% my own. Thank you for supporting the brands I enjoy working with. 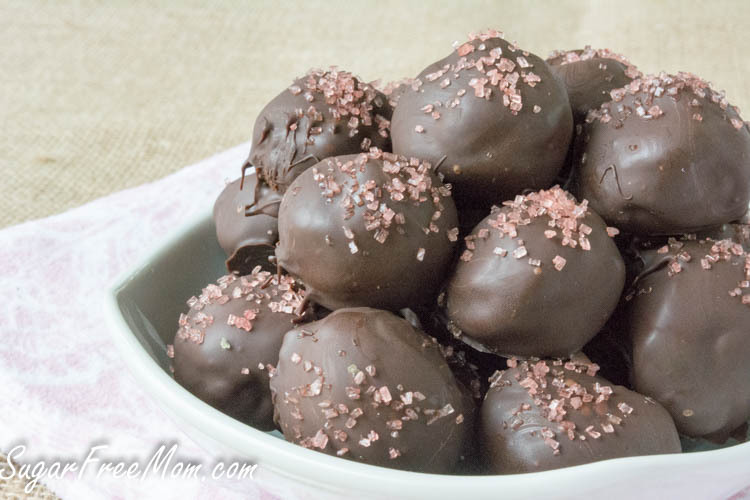 These truffle sound perfect for Valentine’s Day! And we can feel a little less guilty indulging since they are sugar free! They sound amazing. I wish I had a bowl full right now. I wonder if a pack of stevia powder with a drop or two of vamilla would work, don’t have any stevia liquid?!?! I love mint and chocolate. 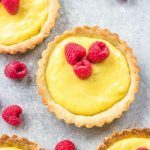 These look wonderful for Valentine’s day and I LOVE that you don’t have to feel guilty about eating them! Might have to make up a batch and stick them in a cute little heart box for my Valentine. There’s still time, right? 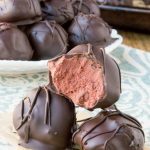 I was on the phone with my dad today and he says to me “There is this blog called sugarfreemom.com that has a bunch of really good sugar free candy ideas” I totally fan girled since I knew you 🙂 As always these truffles look amazing! 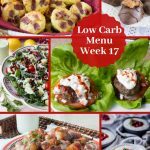 Chocolate and mint is always a sought after combo in my house – these sound delicious! 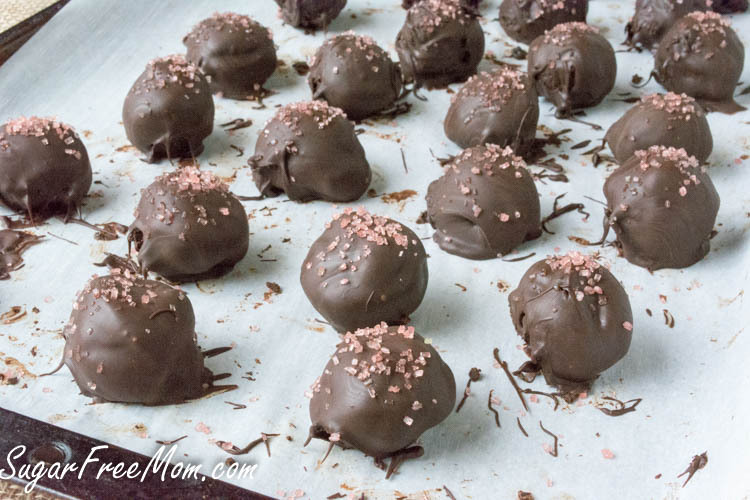 It isn’t Valentine’s Day in my book unless truffles are involved and yours look beautiful! I love mint and chocolate. 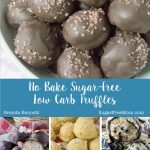 Your truffles look amazing and knowing that they’re sugar free makes them a million times better in my book. I love truffles!! And anything mint + chocolate. These are so awesome. A perfect bite-sized treat!! Especially for gift-giving.